Trust Wallet, the official mobile wallet app of global cryptocurrency exchange Binance, is rolling out extensive updates amid a massive rebrand as a multi cryptocurrency wallet. The rebranding of Trust, which has been known in the blockchain world as the best-in-class ‘Ethereum Wallet’ app, underscores the various enhancements that the app now features, as well as those that will be added soon. 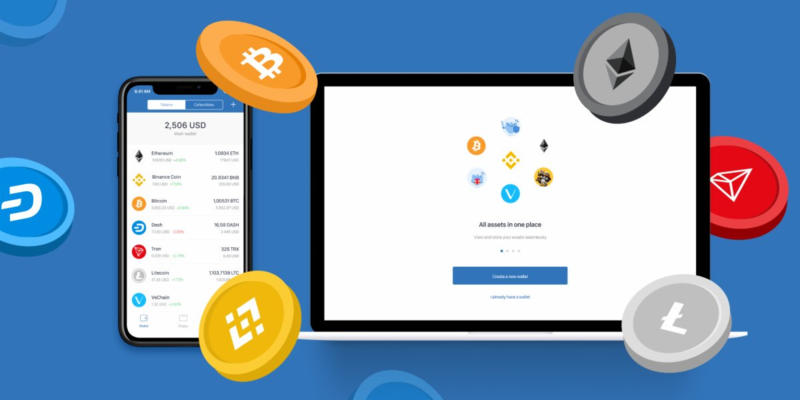 Since Binance acquired Trust Wallet last July 2018, the crypto wallet app startup team has made great strides, leveraging the exchange’s resources to expand its utility to multiple cryptocurrencies and decentralized apps (dApps). Trust, which can store all ERC20 and ERC721 tokens, then added support for different blockchains, resulting in its current capability of supporting 14 blockchains (Bitcoin, Bitcoin Cash, Callisto, Dash, Ethereum, Ethereum Classic, GoChain, ICON, Litecoin, POA Network, TomoChain, TRON, VeChain, and Wanchain), with more to follow soon. That’s just the beginning for Trust Wallet CEO Viktor Radchenko, who leads the initiative of adding more features to Trust, including cold storage, hardware- and platform-related integrations as well as support for the top 20 cryptocurrencies in the global market. Here’s the story of Trust’s milestones and progress from its origins as an Ethereum-based solution to store ERC20 tokens to its current status as a popular and trusted app that aims to be the only crypto wallet app you’ll ever need. During the early years of Bitcoin, Viktor was a full-time university student in Ukraine who also advised major institutional banks for online security vulnerabilities and ran an online forum for security engineers on the side. When his country’s government requested him to give out IP addresses of his contacts, he resisted out of principle, then fled to the US in 2012 to apply for asylum. He became an early adopter of crypto upon hearing about Bitcoin in 2013. He bought Ethereum when it was just $15, and has always sought ways to learn how token sales and other crypto-related activities worked. One day, he sought to get a crypto wallet, but he couldn’t see anything that he liked. “Back then, the market mostly offered web solutions that are so complicated, you nearly needed a PhD-level degree in this space to learn how to use them,” he recalled thinking back then. So, he went ahead and created his own crypto wallet. Thus, Trust Wallet was born in 2017 as a mobile wallet that solely supported the storage, transfer, and use of ERC20 and tokens. Viktor made the app in midst of the crypto bull run and sought to fill an unaddressed market of mobile-first crypto enthusiasts. Since then, the Trust Wallet duo of Viktor and Max Rasputin, an Android developer who joined in December 2017, have been continuously enhancing the product with great passion. With the aid of some open source developers, Trust added its dApp browser feature in February 2018. At around the same time, it added support for Callisto and Ethereum Classic. Within months, Trust Wallet gained the public’s trust for storing Ethereum-based tokens. The company was used and known for its high-grade security and friendly user experience. Its guiding principles, particularly its vow to never access user wallets, hold private keys, or ask for personal information, have also contributed to amassing hundreds of thousands of fans and users. Fast forward to June 2018, Trust was well on its way to launch its own token offering to expand and build upon its early success. In mid-2018, Binance offered to either invest in Trust Wallet or acquire it outright. After some discussions, the two parties went with the acquisition route. 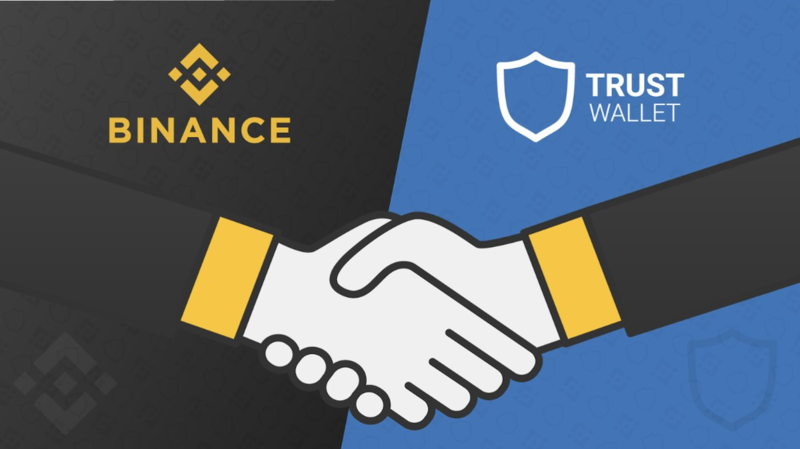 The deal was announced in July 2018, and Trust Wallet became an important infrastructure part of the ever-growing Binance ecosystem. Viktor recalled that because of the deal, Trust was able to add its top-notch open source developers to full-time roles, as well as a UI/UX designer last November. 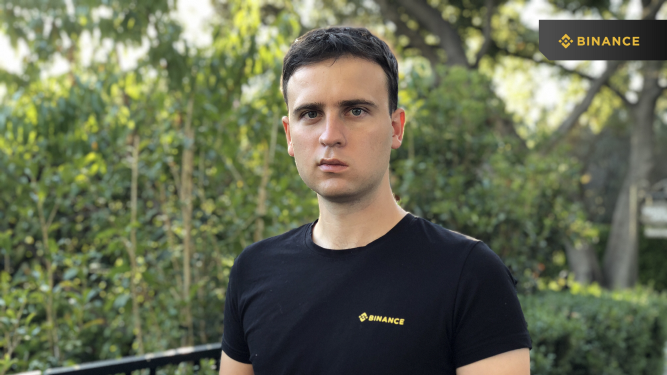 “Thanks to Binance and the support of its marketing and operations network, we were able to focus on just improving the product,” Viktor said. Trust Wallet then sustained its development momentum. After securing key milestones of building an in-app dApp browser and implementing top-notch security measures, the team then set forth on its mission to transform Trust into a multi cryptocurrency wallet. In the final months of 2018, Trust secured integrations with GoChain, ICON, POA Network, TomoChain, TRON, VeChain, and Wanchain blockchains. An important milestone was reached in the early days of 2019, with the integration of Bitcoin, Bitcoin Cash, Dash, and Litecoin. With the enhancements, Trust Wallet is turning into a one-stop shop for managing, storing, accessing, and transacting digital assets. In a way, the rebrand marks the end of the beginning for Trust Wallet’s evolution. The ongoing integration of various blockchains and cryptocurrencies to Trust Wallet is just the tip of the iceberg in terms of the team’s progress. In fact, Viktor sets out a goal of adding one new blockchain integration every two to three weeks. He particularly expressed interest in security-related and privacy cryptocurrencies, as well as the top 20 cryptocurrencies in the world as of the moment. The Trust Wallet founder expects to have most of these integrations done within the first quarter of this year. This is part of a greater roadmap for Trust Wallet, which involves more platforms from which you can access the service. This translates to more ways to securely access your funds in a way that you retain 100% control of your personal holdings. During the first half of this year, Trust is en route to secure hardware wallet integrations with new partners, which will be disclosed soon, and also to launch a desktop version of its wallet app, among other plans. Within the greater Binance ecosystem, Trust Wallet is also a major supporter of the upcoming launch of Binance Chain. 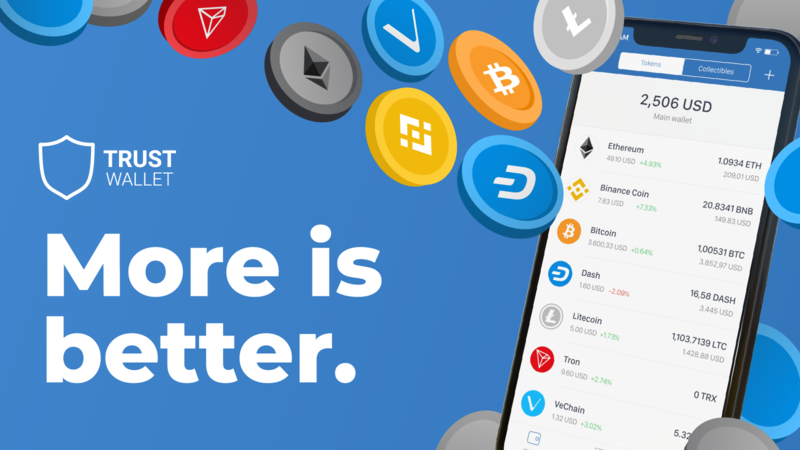 And since it’s already known for its top-of-class user experience when it comes to crypto wallet apps, Trust Wallet as the native wallet to Binance’s DEX, which has been positioned to be one of the key components of unlocking the full experience through Binance’s native blockchain and decentralized exchange. With all these planned enhancements to Trust Wallet, Viktor and his team are closer to fulfilling their ultimate mission of increasing crypto utility and freedom for the masses. This is a common mission shared by Binance and the larger industry as well and we’re excited to see how fast Trust Wallet grows over the next few months.